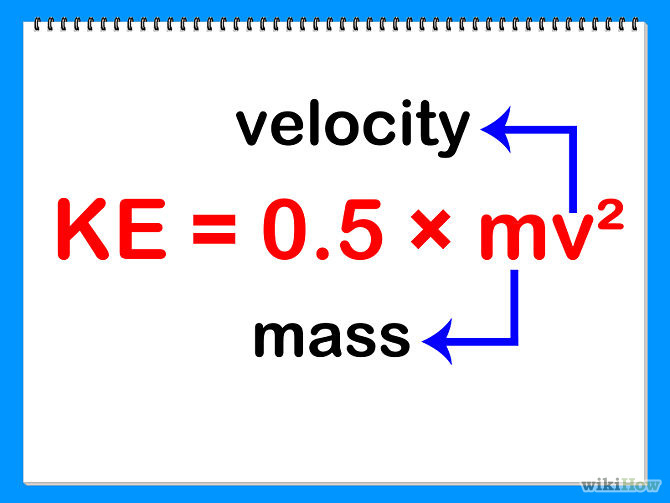 What is your hypothesis about the relationship between mass and weight? What is your plan to investigate the relationship? After completing inquiry 2.1 answers the questions on p. 17. a group. Use loose-leaf. As a group, design a table and record the data from your experiment as you increase the load on the block and measure the effort force needed to move it. Give your table a title. In the table, record the kind of surface used in each trial. After completing inquiry 4.3 answers the following questions a group. You may write a paragraph, use bullets, or a drawing with written descriptions and captions to answer the question on p. 35. Use loose-leaf. Do magnets have to touch, to exert a force on each other? What happened when you moved the compass slowly toward each other? Which side of your magnet is the north pole? How do you know? Mark it. Is the motion of the ball nearly constant or is it constantly changing as it moves across the floor? Ho could you provide evidence to support your answer? Why do you think the ball moves the way it does across the floor? As a group answer the question on p. 76 on loose-leaf. The exploration activity is a research project that will give you the opportunity to apply what you learn in this unit. With a partner (or partners) you will select a transportation device to research. 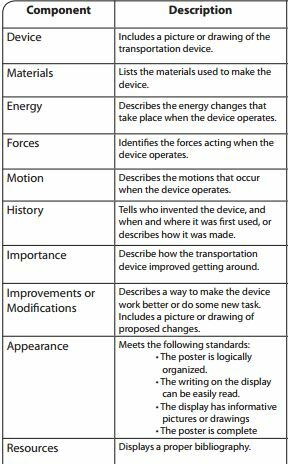 You will produce a poster or media presentation which will be presented orally to the class describing how the device demonstrates the concepts and principles of forces, energy, and motion. Brainstorm possible devices to research. What do you feel when you simply hold the car with the fan running? In what direction does the fan move the air? In what direction does the fan car want to move? Is the speed of the car constant as it moves across the floor? How could you calculate the average speed of your car? How could you design an experiment to measure the speed of the mousetrap car as it travels along the floor? Develop a plan to measure the motion AND determine the speed at different positions along the path. Discuss this procedure before committing to it. Write the plan in your notebook. What does it mean for something to have potential energy? If a book weights 15.0 N, what is its gain in gravitational potential energy when it is lifted onto a shelf 2.0 m above the floor? How can you tell whether something has kinetic energy? Do you ever have kinetic energy? How do you get it? How do you lose it? What force "pulls" on the car as it moves along the track? Does any other forces act on the car as it moves along the track? If so, what are they? How do they affect the motion? How much work must be done to lift the car from the hightest hill on the roller coaster, show your work? Evaluate your methods and results compared to other groups.